Josh Biard - Just Move! 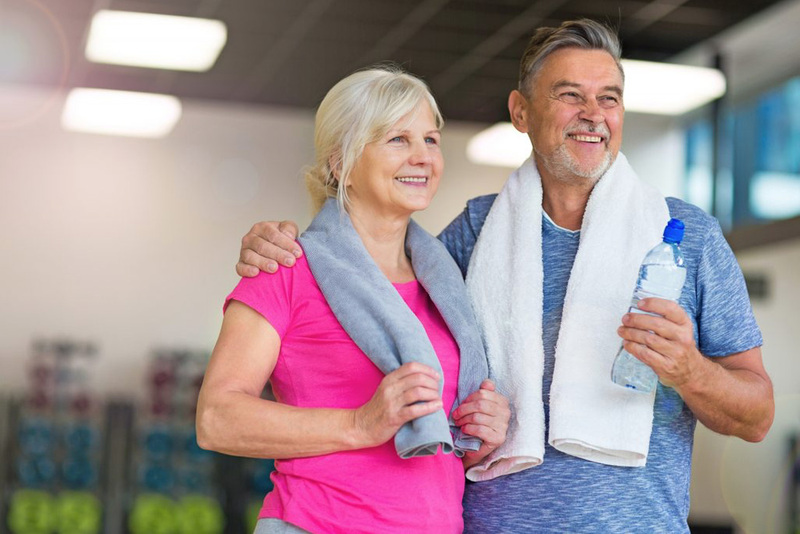 As Athletic Manager for Four Season Golf and Sports Club in Dallas, and a personal trainer himself, Josh Biard has clearly defined approach to working with older clients. What does your job involve, and how did you come to it? Growing up in Telluride, Colorado, I was always into skiing, snowboarding, and other kinds of sports. I got my personal training certification so I could work part-time while studying at Arizona State University. By the time I was 20, I had started my own training business. Eventually I built three personal training businesses in Colorado, Kentucky, and Arizona, where I worked with a lot of NFL players. Having done my own thing, I never thought I would be working for a company like the Four Seasons. But this is a unique property, and I saw the opportunity to help build something special here. I’m in charge of the whole fitness side of the resort, including a staff of 11 personal trainers. We have all the components of fitness— a PGA golf course, tennis courts, an indoor running track, squash courts, a rock-climbing wall, 176,000 square feet of fitness equipment and facilities—just about everything you could imagine. Are there other things that set The Sports Club apart? There’s a scientific approach to wellness here. As far as I know, we’re the only place in Dallas that does Bod Pod testing, which uses air compression to quickly and accurately analyze your body’s proportions of fat and lean muscle. We build complete nutritional and exercise programs for people based in part on their VO2, an indicator of the rate at which they burn calories when at rest. We are also unique in having an entire studio devoted to functional training, added as part of an $8 million, two-year renovation. 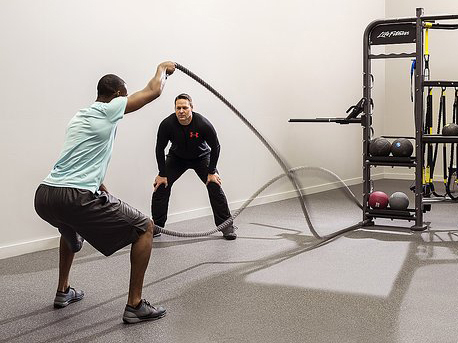 Functional training moves away from the machines and muscle-isolating exercises many people are accustomed to. It centers instead on the kinds of functional movements you use in your life. How does that fit your own approach to training? My philosophy is that every workout should use every single muscle group. That kind of training conditions your body and your mind so you can comfortably do things like bend down and pick something up. You can do that movement in the right way, the way you did it in the gym, without having to think about it. Are there ways you tailor your approach to working with older clients? We focus on functional training, because it promotes quality of life and prevents injuries as you get older. It has nothing to do with bulking up. It’s all about feeling good and helping you function in your life. As a side effect, you’ll look good, too. Secondly, we always start slow and progress at a measured pace. You have to build the foundation of core strength before you can do anything requiring a lot of balance or movement of joints. Someone who’s over 50 or 60 may not have the strength or control to do something like a proper squat at the outset. But once they start getting stronger and improving their balance, they can progress just as quickly as someone who’s 30. “Intense” is a good word to describe my hour of functional training with Josh, but he also made it fun. He kept things moving, offered great pointers on form, and threw in a few surprises to boot. While our progression of exercises mapped neatly to the template I normally use, incorporating classic core, hip-hinge, push, and pull movements, Josh took several familiar exercises to a whole new level. A case in point: his progression of the plank, which adds not one, but two points of instability. If there’s a more challenging version, I don’t know what it is. I had told Josh I wanted to be tested, and he delivered. What’s the biggest challenge your older clients encounter? For most, it’s getting over the initial hump. They’re afraid they won’t be able to do it or have a fear of getting hurt. Those who have been mostly sedentary, or are used to machines where they’re moving in just one plane, may find functional training a little scary at first. That’s why having a trainer who understands that approach is so important, especially if you need to adapt your program for conditions like arthritis. It might be a slower progression, but you’ll still get there—and you’ll feel so much better when you’re doing the right exercises. Most of the time, older clients are surprised by what they can do and how fast they progress. They go from “I can’t get up the stairs” to “Hey, now I’m jogging up the stairs!” Their pains may disappear, even when their doctors have told them they will suffer pain for the rest of their life. With the right exercises and techniques, they really can turn back the clock. What kind of progress do you typically see with older clients? Progress doesn’t necessarily mean doing more; it means getting more efficient so you’re doing the same work or more in less time. At the beginning, our workouts are an hour long, because you need that time to focus on basics and work on details. That typically evolves to 45- and then 30-minute sessions in a matter of six weeks or so. We pick up the pace and streamline everything, so you’re working smarter, not harder, as you get in better shape. By then, you’re able to do five times more exercise in 30 minutes than you were doing before in an hour, without worries about getting hurt. Josh Biard with client at the Los Colinas Four Seasons gym in Dallas, Texas. Once a client is up to speed with a program of functional exercise at least two or three times a week, we keep setting new goals. It’s essential to do that, or you’ll hit a wall and begin to devolve, so you develop muscular imbalances and increase your chances of injury. Mixing things up is equally important. Your body will do better with more variety. Here at our club, we have 60 different group exercise classes along with all the other activities. You’ve got to be intelligent about it, and give your body a day to recover from a full-body day. But I love to hear that in between, my clients are doing yoga, going to a barre class, going to a swim class—the more, the better. Go out and walk or hike on varied terrain. Do things you’re not doing in your workout. The fun comes in having new challenges and accomplishments. You’re not going up against anyone else. It’s all about you.